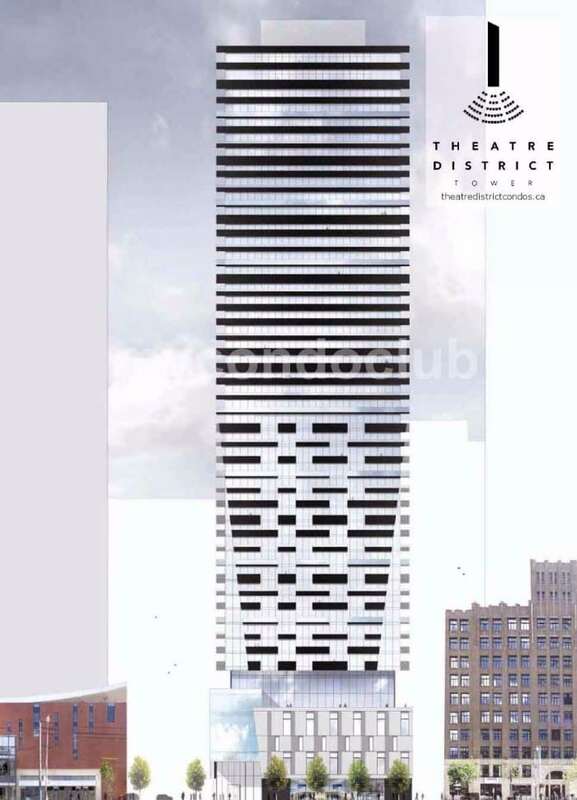 The Theatre District Tower Condos is a new condo development at 8 Widmer Street, Downtown Toronto, ON, M5V 2E7, located at Spadina and Adelaide, Toronto. This development has a total of 461 units and 51 storeys with a 8-storey podium with retail businesses on the ground floor and second floor. The developer of this project is Plazacorp Urban Residential Communities. The Theatre District Tower Condos is at the Adelaide Street West & Widmer Street in Toronto. Best Location Condo in the hottest neighbourhood in Downtown Toronto in the Theatre District & King West. Best option for new home buyers and investors looking for condo in downtown Toronto. 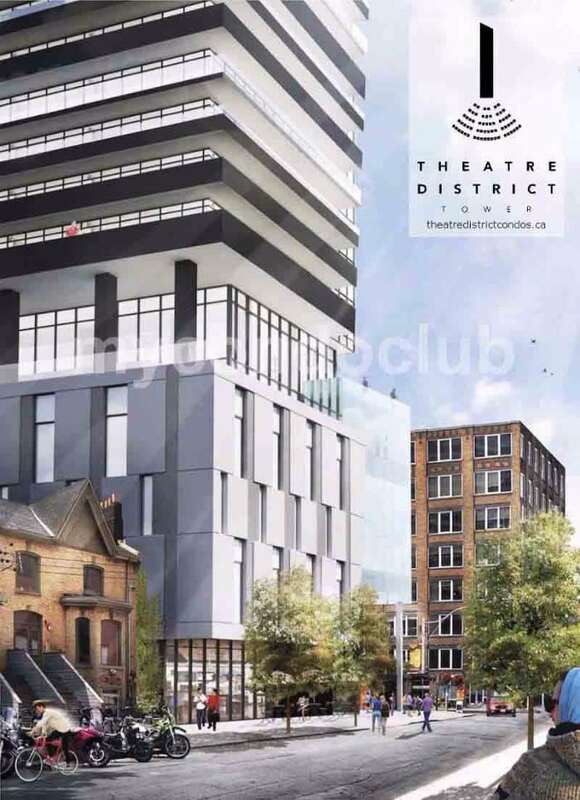 The Theatre District Condos have close access to Toronto waterfront, the Spadina bus stop, lots of parks, restaurants and shopping centres in the area. Also very close to the University of Toronto and Ryerson University. 20 minutes to the TTC very easy commute to Downtown Toronto. This Condo will have 461 condominium units, ground floor retail space and lots of amenities. This is a vibrant neighbourhood where many shops and restaurants are closeby. Minutes walk to restaurants, shops, schools, parks, office buildings and many more shopping, dining and entertainment at your doorstep! Patrick’s Square, Grange Park Toronto and Clarence Square are in the walking distance to the Theatre District Condos in Toronto.